In the Philippines, you only have to go to one channel for almost all of your superhero needs. JACKtv there has taken the international broadcast licenses in the region for The Flash, Arrow, Supergirl, and Heroes Reborn, bringing all four to one channel. In a promo for the new lineup, one clip in particular should be exciting to all fans, including those in other regions like the US. 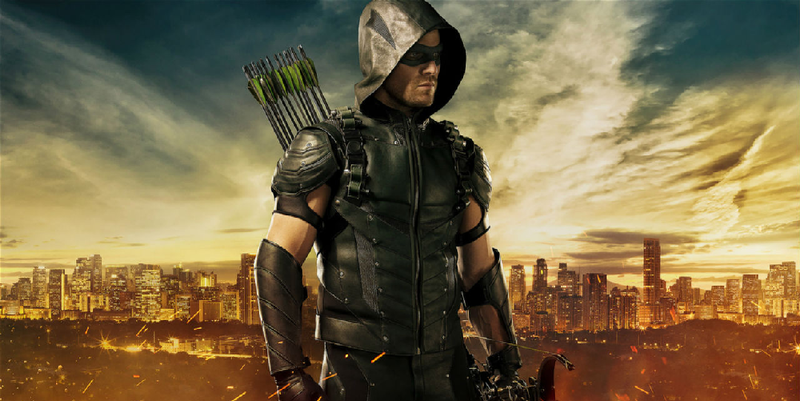 In it, Stephen Amell as Oliver Queen on Arrow says, "I have to become... the Green Arrow." Now, we knew it was coming, that the character was headed in that direction, but it's something else to hear it out loud. Enjoy the clip, and if you're in the Philippines, then I guess just set your DVR to record JACKtv all day every day.